Slip, trip and fall accidents are generally considered “premises liability” cases. Store owners, property owners, and landlords have to be vigilant in clearing walkways and common areas. 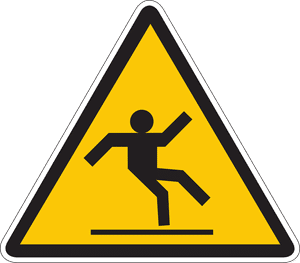 Despite preventative measures, slip and fall injuries cannot always be avoided if property and business owners fail to remove dangerous conditions or fail to warn pedestrians and customers about those hazardous conditions on their property. Errors in maintenance and/or inspection of one’s property may result in dangerous slip and falls to customers, tenants, and other pedestrians. Common pedestrian areas that require inspection and treatment in winter months include sidewalks, driveways, walkways, and parking lots. 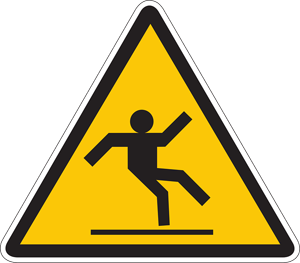 When those areas are not cared for properly, people may sustain serious injuries in slip and fall accidents. These injuries commonly occur in sensitive body areas, including the head, foot, ankle, wrist, elbow, and hip. An injured victim’s damages, however, frequently extend beyond any physical injuries suffered in the fall down incident. Often, fall victims suffer significant financial consequences as a result of costly medical bills, time off work to recover, and lost wages. These added financial pressures may also affect the fall victim’s family and loved ones. In all cases, the victim pays. Yet, the at-fault parties continue on with their normal routines. Injured victims can hold these responsible parties accountable for their carelessness by filing a personal injury claim. An attorney can investigate relevant business contracts, property deeds, and corporate entity filings to ensure that the right party is held responsible for failing to maintain a walkway, driveway, and/or parking lot in a reasonably safe condition. Once a suit is filed against the responsible party, an insurance company will almost always cover the negligent party’s defense and, in most cases, will pay for the entire verdict or settlement amount from a lawsuit. 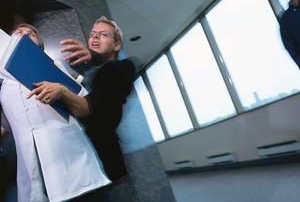 To hold a defendant business, property manager, or contractor responsible for a fall down injury, an attorney must prove that the defendant owed the victim a duty of reasonable care, that the entity failed to fulfill this duty, and that the conduct and/or omission caused the fall-down injuries. Often, the most difficult item to prove is showing that the defendant property owner knew, or should have known, of the dangerous condition but failed to remedy that condition. Pay attention to your surroundings, specifically the ground, sidewalks, and walkways around you. Wear appropriate footwear when there are icy and snowy conditions in order to provide additional traction. Pick up your feet as you walk to decrease the chance that your feet slide on the slippery surface beneath you. Invest in a medical alert device, especially if you are elderly or live alone. In considering whether or not to contact an attorney to investigate your slip and fall injuries, be mindful of the two-year Statute of Limitations for personal injury claims in both Pennsylvania and New Jersey. 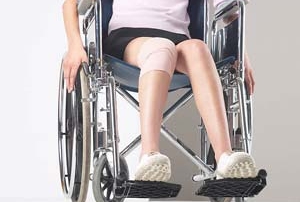 Injured persons can be saddled with high medical bills, loss of income, and lingering medical conditions as the result of someone else’s failure to maintain a safe property. A personal injury lawyer with experience, and skill, in handling slip and fall cases is necessary to help a wrongfully injured person obtain the compensation that is deserved.. Please call us at 215-568-1510 or contact us by email, to see what we can do for you.